The 2.4 million UK citizens snubbed by Nick Clegg's banging on about "Great Britain"
Perhaps I am being overly pedantic. But I am now starting to get livid about Nick Clegg banging on about “Great Britain, not Little England”. 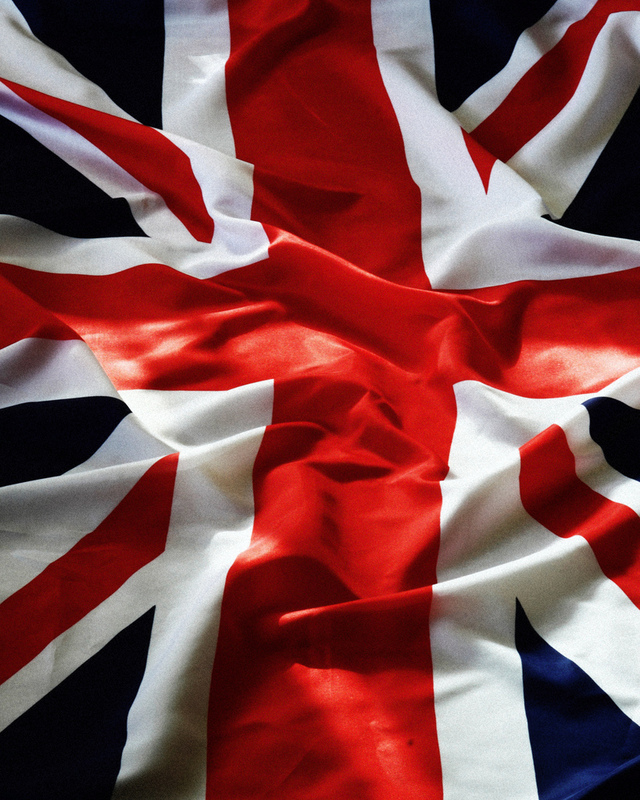 The name of our country is the United Kingdom of Great Britain and Northern Ireland. By referring only to Great Britain, Nick is excluding and marginalising all the people in Northern Ireland, many of whom lost relatives and friends and/or were injured in the struggle to settle Northern Ireland’s future as part of the United Kingdom. He is also excluding people in the scores of islands which are contained within our country, other than Great Britain. Going from the 2011 census, we are talking about 1,811,000 people in Northern Ireland, 99,739 people in the Scottish Islands and 141,050 people in the Isle of Wight. If you also include the other 13 islands of England and Wales, the total number of people in the UK who are not living on the island of Great Britain, is 2,381,816. 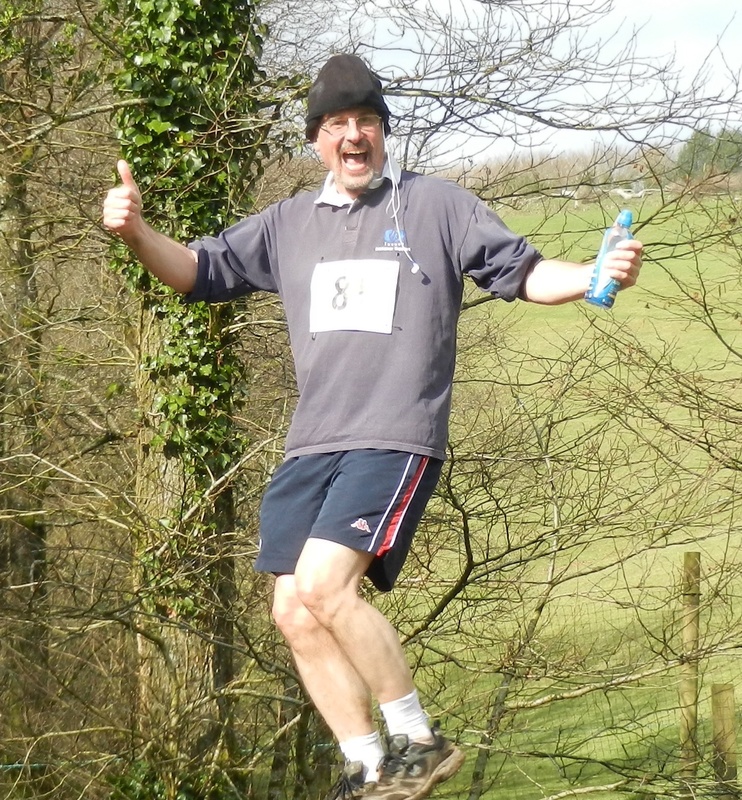 I am feeling relatively few ill effects from running the West Buckland School Exmoor Senior Boys run on Thursday. Past pupils and parents are invited to take part (via the excellent West Buckland Foundation and Old West Buckland Association). 40 did on Thursday. But only three were crazy enough to go the whole hog and walk out eight miles with the senior boys to the start before running back 10.6 miles. I was one of those crazy three. The boys walked out at a breathtaking pace, so, for me, the walk out alone was more gruelling than one of my 17 kms training runs on Greenham Common. The weather was really good. The view from the start, near the top of the moors, was utterly stunning (thank you, God). The past pupils start a few minutes before the boys. At the start, I turned and looked at the boys lined up in their house columns, waiting to run. That was me 39 years ago. Their whole lives are in front of them. An inspiring moment. I couldn’t help smiling broadly. I ran every step of the way. So this was the first time I ran the Exmoor. (I used to walk big chunks of it.) It will certainly be the last time as well. I have done it now. Box ticked. If there is a tougher cross country run in the country then it must involve wading through pools containing live pirhana and running bare foot over red hot coals. The first half is relatively OK. Mostly on track, mostly downhill. But the sadist who designed the run reserved the hellish bits for the second half. Mud. Mud. Mud. Inglorious mud. Hills. Hills. Hills. And more hills. One 33 percenter. Rutted muddy tracks almost impossible to run on. Marsh. Bog. Streams. The local Hunt in full regalia, complete with numerous followers (I kid you not). It’s got the lot. Then when you think you are on the home straight, there’s a blinking turnip field to negotiate – like running through a minefield. I don’t believe in “bucket lists”. It doesn’t seem to fit with my faith. But, by running (albeit at some stages at a speed that would have looked more like a soft-shoe shuffle) the Exmoor every single step of the way I have well and truly slain a demon. This will give me the enthusiasm to keep on running. Every run will now be a breeze compared with the Exmoor. West Buckland School, Exmoor run. 1976. Our famous “Band on the run” pose as we leave WB on The Long March. I am trying to play the James Coburn role in the middle. If any photo sums up my joyous memories of West Buckland it is this one. Brilliant! I really did thoroughly enjoy the Sixth Form and it really helped form me as a social person. 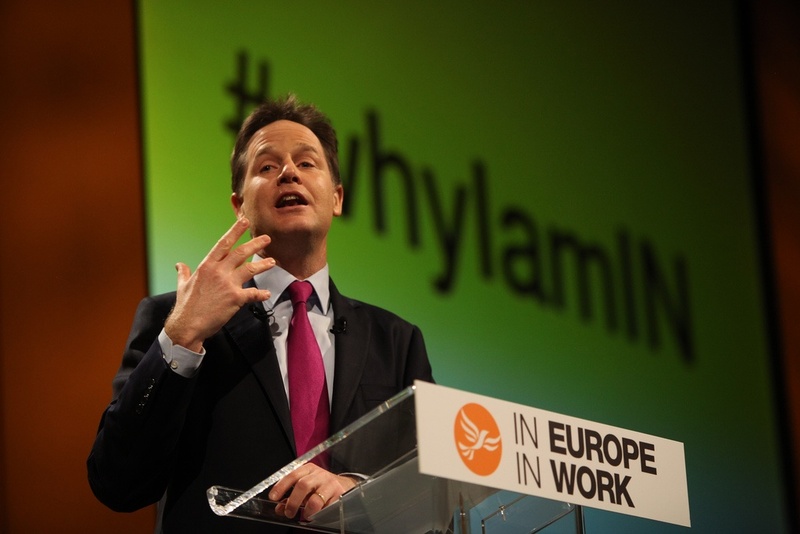 In the cool light of day, I have studiously re-read Nick Clegg’s speech to the York spring conference (in full below). I’ll go out on a limb here and say that I think it is his best speech ever. The passage about why he loves the UK had me welling up as I read it, just as it did when I watched the speech. And he gives a superb summary of where we are headed in the next five years. The speech is an act of real leadership. We could easily have gone into the May European elections talking about the schools, crime and hospitals, and not mentioning the E word. In other words, we could have fudged the European elections, just as we have fudged them many times before. But no. Nick has laid down the gauntlet and come out fighting, with a crystal clear, passionately argued “IN” position. I hugely admire Nick for this. Goodness knows how it will play at the ballot box. But Nick has taken exactly the right course. (In passing I mention the small niggling point that Nick described this country twice as an “island” in his speech and referred to “Great Britain”. For the record, the name of our country is the United Kingdom of Great Britain and Northern Ireland and it is a collection of whole/part islands, not an island. Imagine how someone in Northern Ireland would have felt listening to the speech. They may have lost friends or relatives in the troubles and then hear themselves being effectively excluded from being mentioned). By pure coincidence, I now discover that my invitation to lead a discussion on the economic benefits of EU membership next Wednesday at my old school is on the same day as the first Nick v Nigel debate. A double honour. My view is that both Nick and Nigel have nothing to lose in these debates. They will both fight to win across almost completely separate constituencies. I expect, therefore, very little rancour between the two men. On their terms I expect them both to do well. A win-win. Nick is brilliant at this sort of stuff. The passion, the facts and figures. It all flows freely in one great engaging package. I love the way we can cherish our traditions yet innovate relentlessly, churning out one ingenious invention after the next. The telephone, the steam engine, the jet engine, the world wide web; the same nation that came up with stainless steel is now developing graphene – the strongest material the world has ever seen. Oscar winning visual effects; cutting-edge design; theatre, fashion, music, film – you name it, we do it, and we’re up there with the best. I love that a country capable of extraordinary pomp and ceremony can still retain a spiky irreverence towards its establishment. A country where we line the streets waving our Union Jacks wildly to welcome the arrival of Prince George, and the next moment we’re chuckling at Private Eye’s front page: ‘Woman Has Baby’. I love Miriam telling me that the feeling of freedom you get in Britain simply doesn’t exist anywhere else. I love how excited we get at the glimpse of any sun, insisting on staying out in our t-shirts and flip-flops – even when it’s obviously still cold. I love that, wherever you go in the world, you’ll find football fans obsessed with the Premier League. Above all I love that, while we may be an island, we have always looked beyond our shores. Throughout our history, when we have seen trouble in the world we haven’t just looked the other way; we haven’t just crossed to the other side of the street; Britain doesn’t peer out at the rest of the world and shrug its shoulders. We are always at our best when we play our part. If anyone doesn’t believe it, just glance across the Channel at our European neighbours, where a number of extremist parties are on the rise. In Greece’s last parliamentary election the Golden Dawn Party secured 18 MPs. They ran on an anti-immigration platform. Their slogan? ‘So we can rid the land of this filth’. In Bulgaria, Ataka makes up 10% of the National Assembly. One of their MPs has reviled Syrian refugees as ‘terrible, despicable primates’. How else would we, right now, be making our presence felt against Vladimir Putin’s Cold War aggression in the Ukraine? So, for all these reasons, I’m IN. Forget the lazy assumption that, in the court of public opinion, the eurosceptics will automatically win. There is nothing automatic about election results. A few months ago, when I asked people to take to Twitter to tell me why they’re IN, they did so in their thousands. It was our most successful online campaign ever. There are plenty of people out there who don’t want anger. They don’t want bile. They want jobs. They want our country to have influence. They want opportunities. Ultimately they want hope. And that, Liberal Democrats, is what it all comes down to. Hope. It’s the oldest dividing line in politics – hope versus fear – and it’s back. That’s how you lead a nation through difficult times. That’s how you hold a country together when its citizens are feeling the pressure. And that’s what the last four years in government have been about. The unprecedented Treasury support that will transform Britain’s roads and rail. A weak economy. An unfair society. If it all sounds depressingly familiar it’s because most of us have lived through it all before. Two parties encumbered by the same old prejudices; straitjacketed by the same old ideologies. And whichever way you look at it, left or right, if either of them get into government on their own, they will drag Britain in the same direction: backwards. No. That’s not my Britain. That’s not the Britain I love. And I am not going to sit back while either of them sweep in and leave this nation diminished and divided because they still don’t understand what makes our country great. Liberal Democrats think of that when you’re out campaigning in the crucial coming weeks – in your wards, in your communities, in your regions for our hardworking councillors and our excellent team of MEPs. And if we’re in government again we’ll go further still: no one paying a penny in tax on the first £12,500 they earn. who want to keep this nation open, tolerant, compassionate and strong. If you have faith in this country, if you believe in Britain’s values, if you still want this incredible island of ours to keep punching above our weight and shaping the world so that it is a better place, put the Liberal Democrats back in government again – let us protect the Britain you love. I’m tremendously excited about next week. I’m going back to school! Yes, a full 37 years after I left West Buckland School on the fringes of Exmoor in Devon, I will be returning there next week on two days. On one of those days I will be involved in an outdoor endeavour of which I will write next week. On Wednesday, through the good offices of the West Buckland School Foundation, I’ll be experiencing a “Back to school day”. This is eerily reminiscent of John Osborne’s 1971 BBC1 ‘Play for Today’ called ‘The Right Prospectus’, where a middle-aged man, played by George Cole, became a pupil at a public school with his wife. 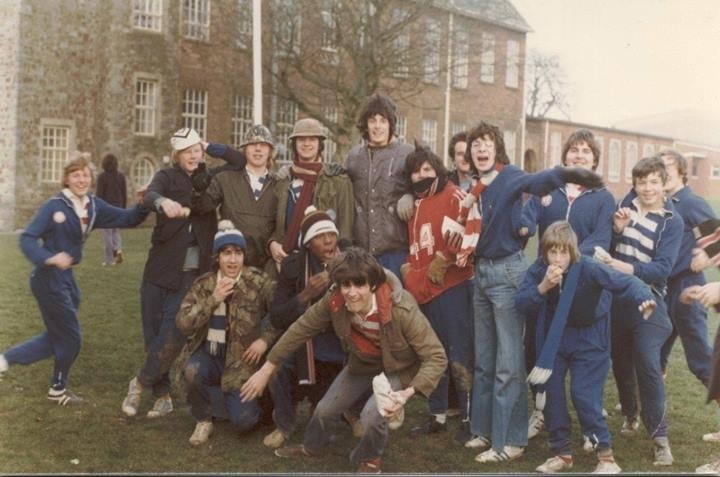 The programme was filmed at West Buckland School in the term before I arrived there. You can see a wonderful clip of the production on YouTube here. As part of my ‘Back to school day’ I have been honoured with an invitation to lead a discussion about the economic benefits of the EU. The EU. What’s in it for me? Politics – cognitive bias on steroids? With every decision you take, every judgement you make, there is a battle in your mind – a battle between intuition and logic. Prof Daniel Kahneman, from Princeton University, started a revolution in our understanding of the human mind. It’s a revolution that led to him winning a Nobel Prize. Prof Kahneman and his late colleague Amos Tversky, who worked at the Hebrew University of Jerusalem and Stanford University, realised that we actually have two systems of thinking. There’s the deliberate, logical part of your mind that is capable of analysing a problem and coming up with a rational answer. This is the part of your mind that you are aware of. It’s expert at solving problems, but it is slow, requires a great deal of energy, and is extremely lazy. Even the act of walking is enough to occupy most of your attentive mind. Professor Kahneman’s Nobel Prize was for Economic Sciences. (There is no psychology Nobel.) In the Horizon show, they featured two of his main cognitive bias theories concerning money decisions. One is the tendency to over-focus on present, here and now considerations, rather than on future considerations. The second was the tendency to over-obsess about monetary losses to an extent which is completely out of proportion with their financial size, so that less time is spent thinking about larger amounts of money. This all got me wondering about political opinions and cognitive bias. 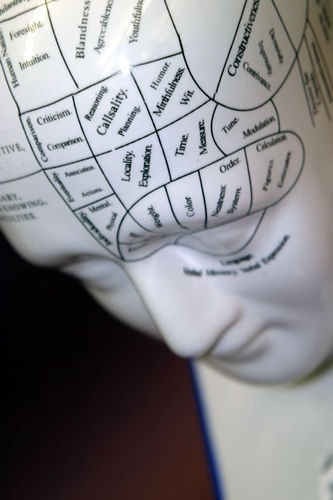 There is a list of cognitive bias categories here. Scanning through them, there doesn’t seem to be a single one that doesn’t figure in political opinion forming. I was very sorry indeed to hear of the death of Trevor Brown. Trevor was a stunning example of how to live one’s life for one’s values. He sacrificed his career to fight, successfully, for improved safety in the nuclear industry. He campaigned long and hard to stop children from picking up the smoking habit. He campaigned on a variety of local issues in Newbury as a Newbury Borough Councillor and a Berkshire County Councillor. But Trevor was also a very warm and friendly man. A lovely, lovely man with an impish, dry sense of humour. He was extremely thoughtful and, for many years, not only phoned me on my birthday to wish me a happy birthday but also phoned my wife on her birthday to wish her a happy day. Trevor was awarded the Liberal Democrat President’s Award at the last autumn conference for his lifetime of service to the Liberal Democrat cause. We have lost an extraordinary man. I express my sincere and deep condolences to Trevor’s family, who I know loved him and cared for him very much. I’ve written this diary as a reminder to myself as to what I did at York. Also, as I am an elected representative, I feel duty bound to report back to local party members.Photo above is of Nick at his Q&A on Saturday. I travelled to and from York by train, even though this was a little expensive compared to driving. I do enjoy sitting back on the train, as opposed to driving. I arrived in York at midday in good time to leave my luggage at my hotel and walk back to the conference area in time for the 3pm consultative session. This involved walking 3.5 miles, mostly with luggage, but I like to keep fit. The consultative session at 3pm was on the manifesto for the 2015 election, chaired by David Laws. A very interesting discussion during which I made two points: 1. About the importance of the EU in Foreign affairs and 2. About encouraging sustainable growth in the economy. I prefer these consultative sessions to the main conference hall debates. They are informal and fun. One feels as though one is really influencing policy at the grassroots. Whereas the hall debates involve quite a lot of “showboating”. After collecting the lanyard for my ID card, I attended the “In Europe” rally in the main hall. Vince Cable made a very personal speech about his upbringing in York and why he has worked hard to improve further education/adult learning. His mother’s life was considerably improved by adult learning. She became a guide to York Minster as a result. The rally had some excellent speeches about our place in Europe, mostly by women MEPs – hurrah! Our very own Catherine Bearder made a very good speech. I then decamped to the Novotel hotel to attend an excellent fringe meeting on the Digital Bill of Rights with “Big Brother Watch” and Tim Farron, Julian Huppert and Jenny Woods. A fascinating discussion with standing room only. I asked a question about the UK allegedly doing surveillance for the NSA which would be illegal on US soil. Tim Farron agreed this was a big concern. It was then 9.30pm and, aware I would need to get up early in the morning, I walked the 1.5 miles back to my hotel. I then found the nearby pub had finished serving food, so found a very amenable local kebab shop for a late night large doner kebab with all the trimmings. I got up at 5.45am to do my 40 minute run as part of my training schedule for a 10.6 mile run across Exmoor on 27th March. I got to York Minster and turned round. That has to be one of the most picturesque turning points for a run! I then high-tailed it to the conference hall to be there at 8.10am ready for my stint staffing the Liberal Democrat History group’s stall for 75 minutes. It was my first time doing this, and I thoroughly enjoyed. A new book on Joseph Rowntree arrived. Very attractive book with great photos. I bought a copy for my daughter for her seventeenth birthday. She works for a chocolate shop and is very interested in the history of chocolate. At 9.45am I attended the debate on Migration. The motion passed was very balanced and sensible, and built on a great deal of thorough and wise work by the policy team, led by the very wise and experienced Sir Andrew Stunnell. The most controversial point was around elderly relatives being brought into the country. I am friends with Caron Lindsay, one of the co-editors of Liberal Democrat Voice, following my two-year stint on the editorial team, which ended last year. She and Stephen, one of the other co-editors, have invited me back onto the team to help with photo management. I was delighted to accept. Caron is good enough to allow me to walk round the conference with her. I then get the “back wash” of all her extensive contacts coming up to chat. One of those was the great Alistair Carmichael. I was able to tell him of my love of Islay single malt whiskies. He comes from Islay. He corrected my pronunciation of “Caol Ila” – for which I was very grateful. It made my conference, in fact! I then watched the TUC demonstration pass by the conference hall. It was a very impressive display. People of all ages and backgrounds got up early to travel to York having prepared ingenious placards. You have to hand it to them. They have passion! It was an extremely well-organized demonstration. At 1pm, I attended a Liberal Democrat Lawyers Association fringe on mental health in the justice system. It was very moving. The whole situation is dreadful. – How mentally ill people get treated as criminals. Fortunately Norman Lamb gave us good news on various initiatives, including injecting mental health workers into the arrest process. It’s only a pilot at this stage. I then visited Cliffords Tower in York. 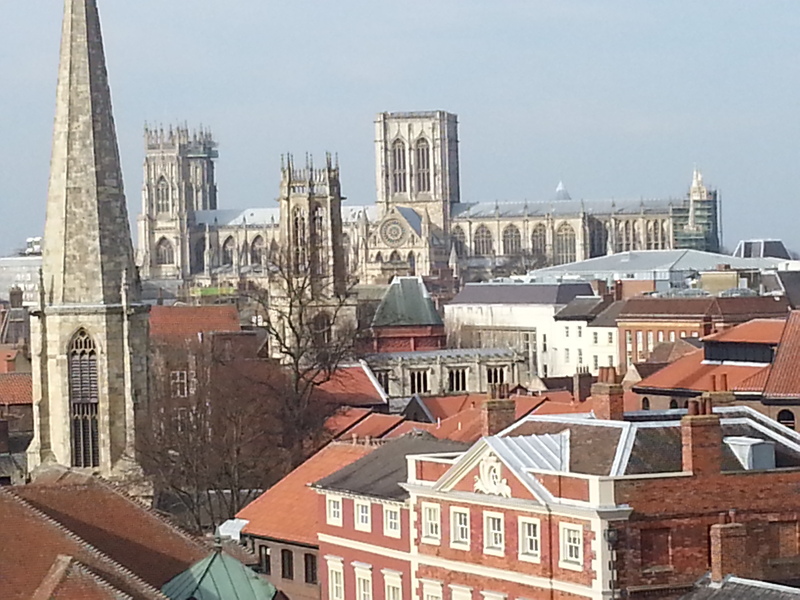 The view from the top of the Minster was awesome. A lovely break from the conference hall and to be surrounded by young Japanese tourists, rather than LibDems! I do find that after about 24 hours in the conference I just have to escape or I can actually feel claustrophobic. I then attended Nick’s Q&A. He was very on form as always. I am very impressed by the sheer volume of initiatives and points he has in his head. I then attended the Policy motion on “Power to the People” about the constitution. Again, a very balanced motion. One controversial point was about regional devolution. Summary: if people want it they can have it. But don’t force it on them if they don’t want it. I then attended another fringe led by the Liberal Democrat Lawyers Association. This time it was on “Zero hours contracts”. I went because my daughter and wife are on “zero hours contracts” in some capacities. The debate was extremely illuminating and Jenny Willott was very impressive in her speech. I then escaped conference (again) and had a Lamb Shank and pint of Black Sheep at the excellent Mason Arms where I chanced upon some LibDems I know from Nottingham and Calderdale. A very heated and liberal debate about politicians breaking the law then ensued! The Glee Club then followed. Catherine Bearder got up on stage and asked for any of her constituents to join her. So I did. About twenty of us then essayed “Day we went to Brighton” to the tune of “Day we went to Bangor”. Our rather haphazard singing was cited by the host, Gareth Epps, as proof of how difficult it is to organize a campaign in Europe’s largest seat! I left the Glee at about midnight. Another early start, getting up at 6.45am to attend Holy Communion at the York Minster at 8am. It was presided over by the Dean, the Very Reverend Vivienne Faull. A beautiful service in gob-smacking surroundings. I paused and listened to the bells afterwards. Mind blowing. At 10:45am I attended the debate on the Digital Bill of Rights motion, which was passed overwhelmingly. A lump in throat moment. I was very pleased! 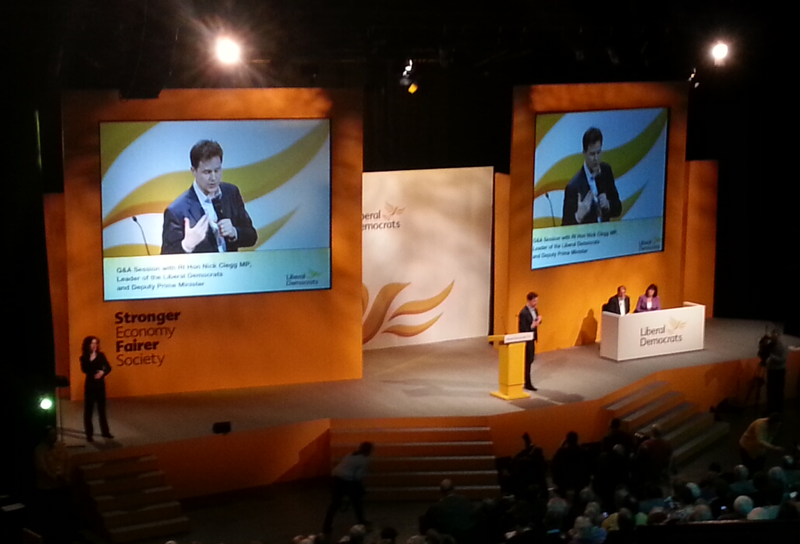 After the usual Presidential banter and collection we had Nick’s speech. I was very impressed. My eyes were welling up (seriously) when he described why he loves this country. He perfectly captured the quirky, passionate, tolerant, liberal spirit of these islands. At York station afterwards I was able to congratulate Nick in person when I saw him bounding down the platform with his retinue in his wake! I got home at 7pm. Chatted with Liberal Democrat Women, took place in their raffle and reviewed their photographs of all the women who have been chosen to fight seats, including our Judith Bunting. I am a member of Liberal Democrat Women. Went into the Liberal Democrat Voice editorial suite, which was dressing room 2, and took a photo of Caron and Stephen, two of the co-editors, hard at work. I joined LGBT+ Liberal Democrats. I joined the Liberal Democrats Friends of Palestine. I received a briefing from the John Muir Trust on their work to conserve this country’s wildest places. I chatted to the people on the Visit York and the Visit Glasgow stalls. I hooked up with several people from the large Newbury delegation at conference such as Judith Bunting, Sue Farrant, Simon Pike, Martha Vickers, Tony Vickers, Ruwan Uduerage-Pererra and David Rendel. Alcohol consumed: 1 pint of Black Sheep Bitter at the Masons Arms, 2 glasses of red wine at the opening conference reception. Generally, this was an excellent conference in a superb location, where we were given a very warm welcome by the people of York.